How to edit your videos on Mac? 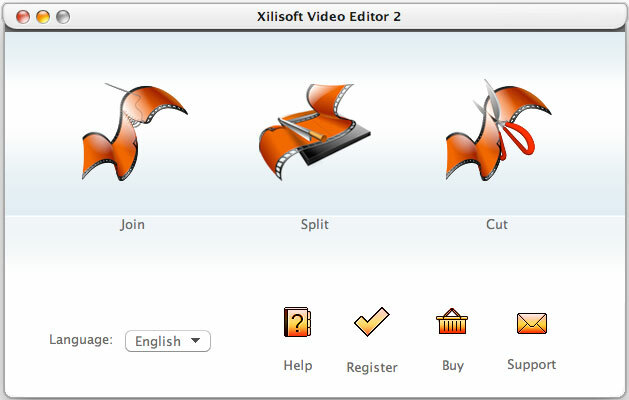 Current Page: Xilisoft > video editor 2 for Mac > How to edit your videos on Mac? Are you confused about how to edit videos on Mac? Were you in troubles with video edition on Mac? Xilisoft Video Editor for Mac is the comprehensive and easy way to take your video footage from shoot to show as your wish on Mac. Download the Video Editor for Mac(for free) and start the tutorial. After lauching the program,3 function will show on the main menu,select the one you need. Fellow the instructions on the screen,you will finish your video edition with ease. ☆ You can close the window of Cutter/Splitter/Joiner and back to the main menu to select other functions. ☆ With Xilisoft Video Editor for Mac, you can easily remove unwanted parts of your video in one simple step to showcase your favorite footage. ☆ Apply fade-in or fade-out effect when joining video clips to put them together seamlessly. ☆ Easily trim multiple video clips you like and output them to a whole new movie. ☆ Split video to parts automatically according to defined standard: video size, video duration or video segment numbers. How to save YouTube videos? How to convert video for iPad?